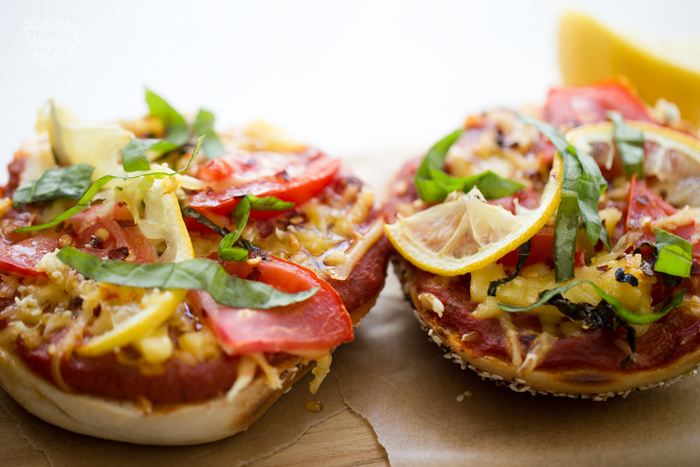 Bagel Pizzas, a la Lemon. Bagel pizzas must be stopped. They must be stopped I am telling you. They are just too good. Too amazing. Too easy to make. 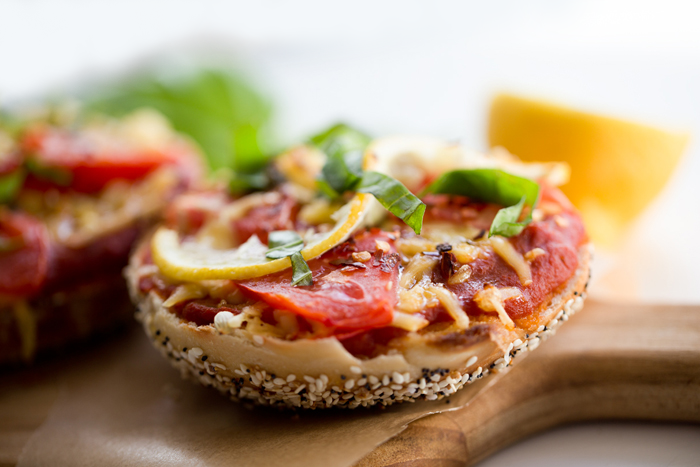 Too tempting to devour once they are staring you in the face with their satiny marinara pizza sauce, glistening melty vegan cheese and crusty, oven-toasted bagel base. Too good. Too easy. Too much. 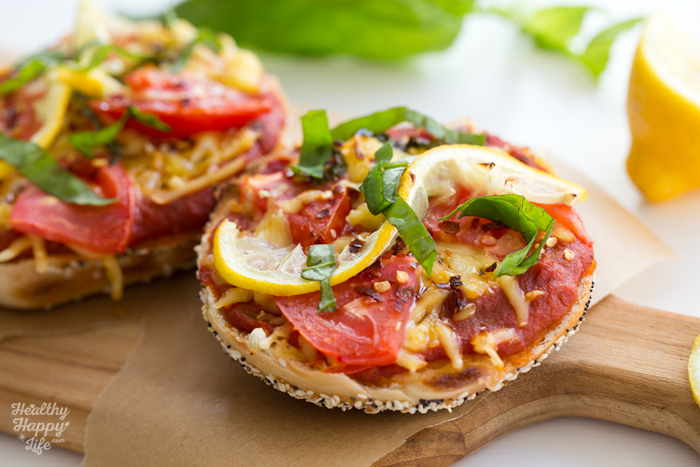 Bagel pizzas must be stopped. 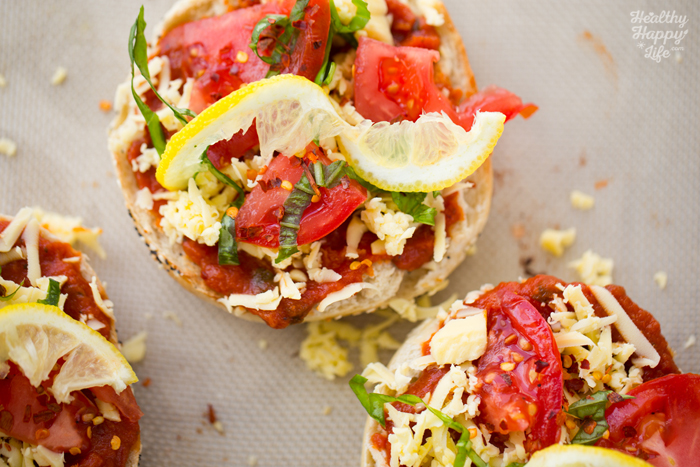 Baked + broiled to toasty, melty #vegan cheezy perfection. 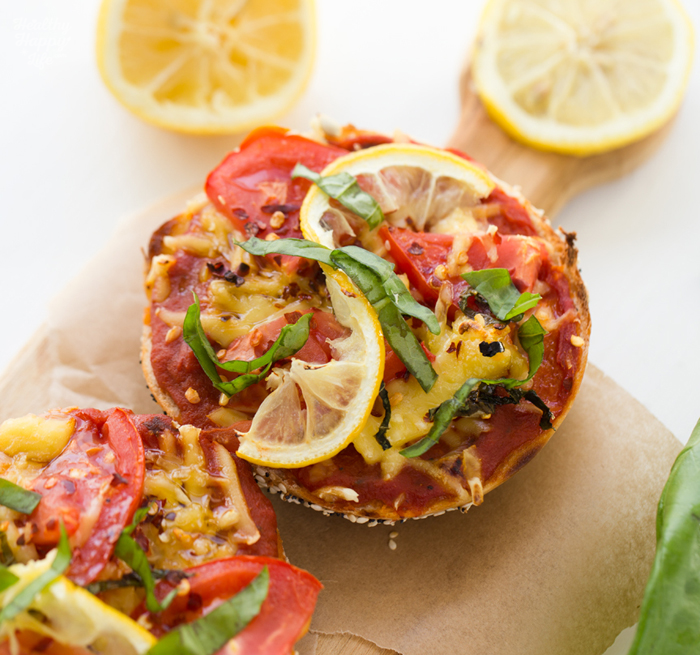 Lemon on pizza is my favorite secret ingredient to bring a unique zing. 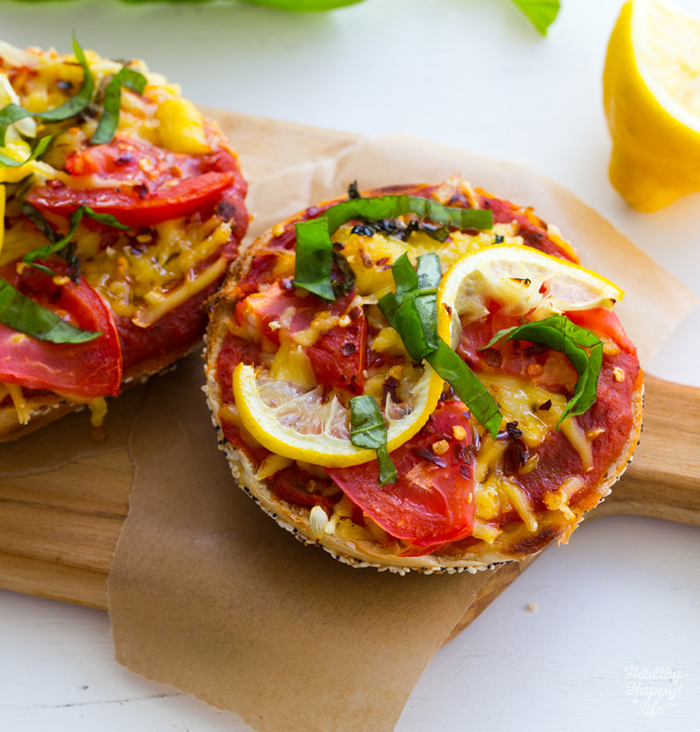 When baked on top of the pizza the lemon slices roast into this mellow zingy flavor that is just super dreamy. I usually remove the lemon peel before eating the baked pizza, but it is edible. I like the baked flesh part of he lemon, but the rind can get a bit chewy. Your call. 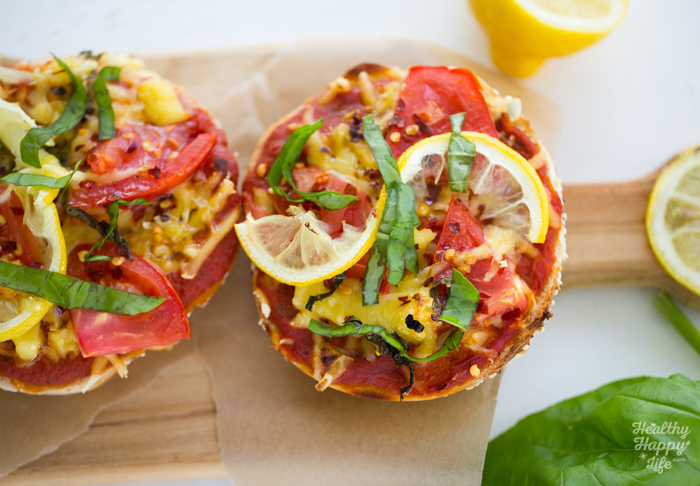 Lemon slices on pizza = must try. 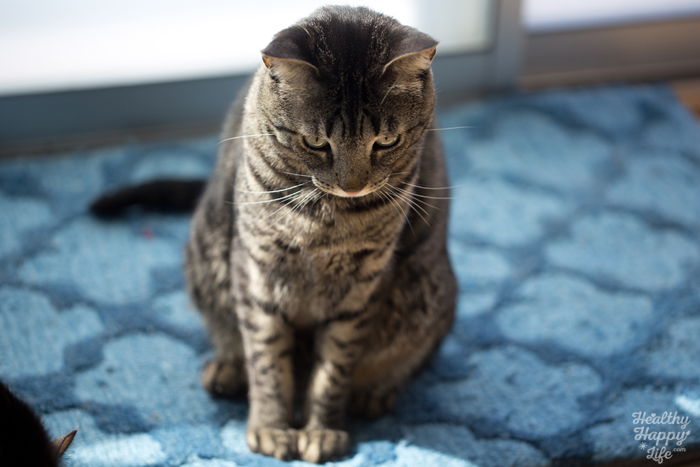 Sochi contemplating bagel pizzas .... or his next meal time. Toasty warm and blissfully lemony. 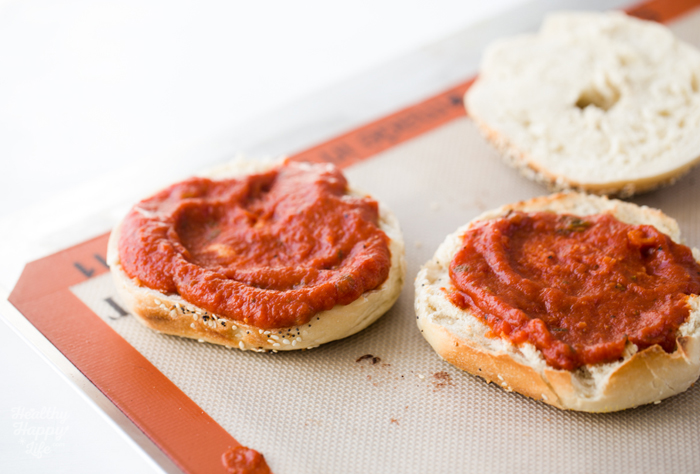 These remind me of being a college student slathering marinara sauce on top of not-so-amazing store bought bagels. 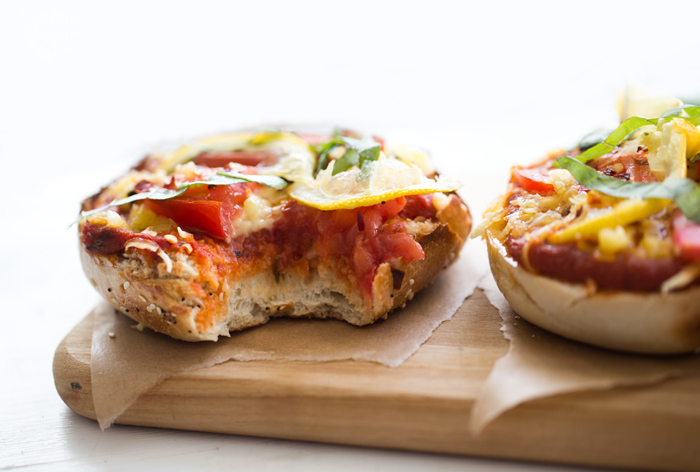 But the real secret to "pizza bagel success" is starting with amazing quality, fresh bagels. 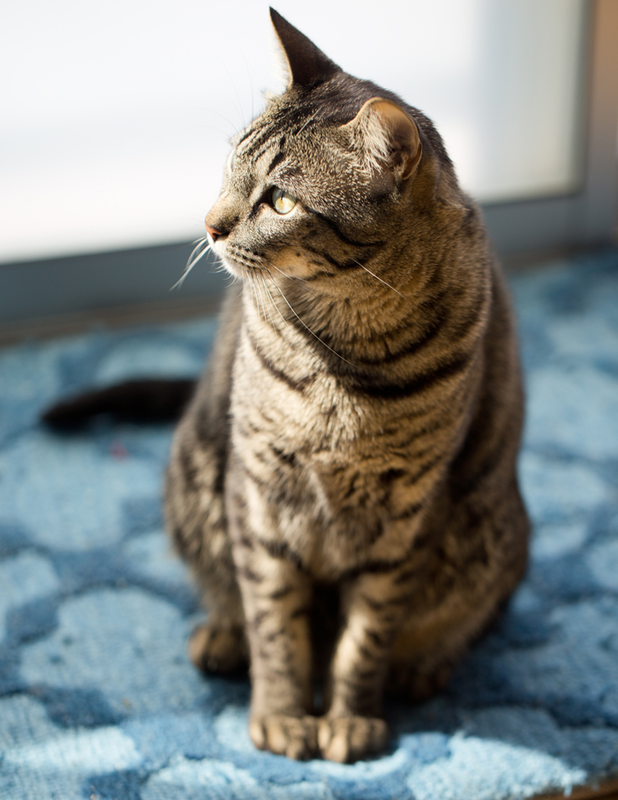 I went to a local shop this morning to buy freshly baked, soft and pillow-y, chewy, fluffy bagels. Good bagels are a must for this recipe. Find a bagel shop in your town and give them some business. I mean with all the low-carb, gluten-free, no white flour fuss going on nowadays they can probably use it! And btw, me on the "white flour" part of these bagels. I do not indulge in this sort of thing every day. I do try to stick to sprouted grain and whole grain breads, pizzas, toast, rolls etc. But once in a while I just love a white flour, gluten-infused, classic, NYC-style bagel. So good. And if you want to make these with sprouted grain, gluten-free or whole grain bagels -- go for it. 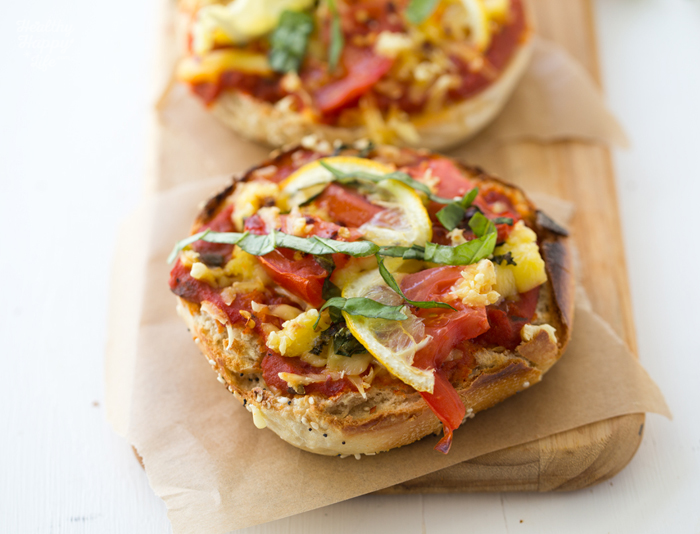 Easy amazing vegan bagel pizzas with my lemon-y basil accents. 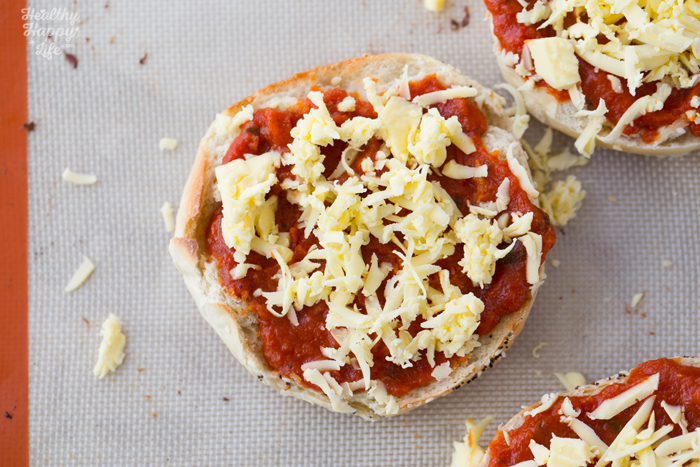 Assemble pizzas by spreading 1 1/2 Tbsp marinara/pizza sauce on top of each bagel. 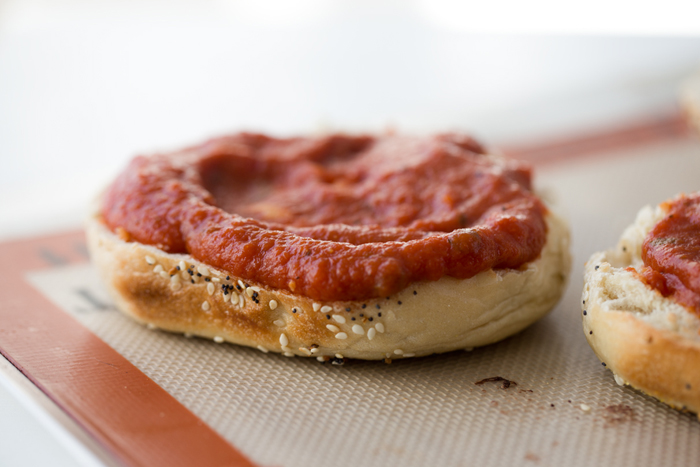 Press the sauce into the bagel. 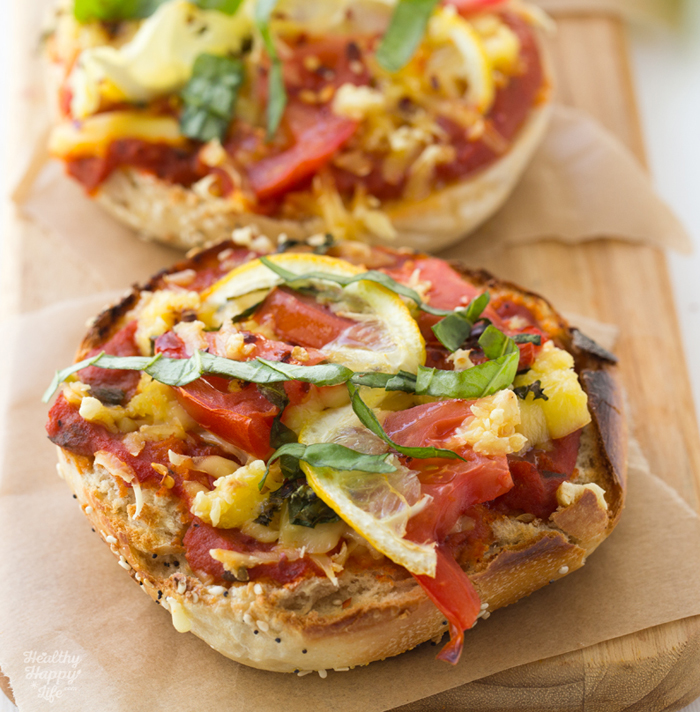 Tip: For extra crispy pizzas you can lightly toast the bagels before adding toppings. Next add the cheese, tomatoes, optional nutritional yeast and red pepper flakes. Then add the lemon in a twirl on top. 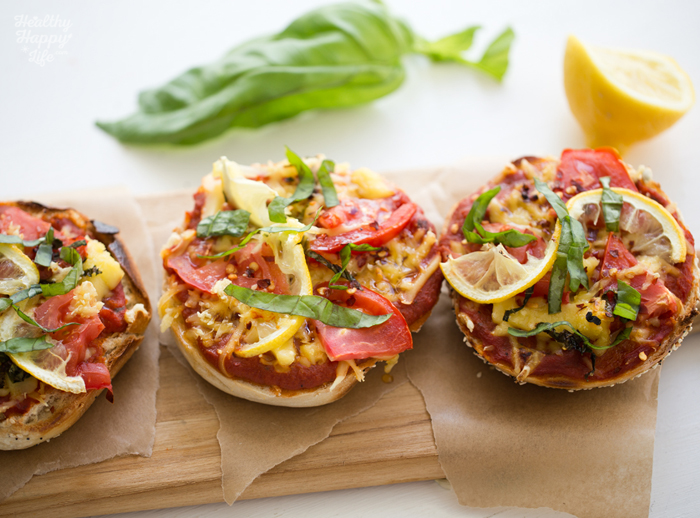 Drizzle EVOO on top of each pizza and also add a generous squeeze of fresh lemon juice over top. 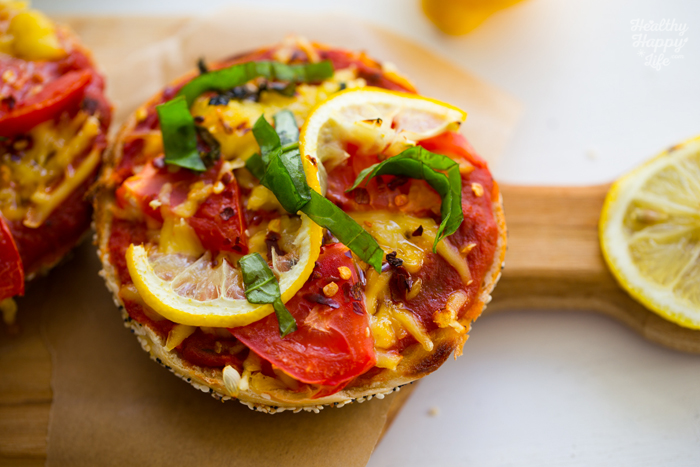 Place the bagel pizzas directly on top of the top rack in the oven. Place a piece of foil of bottom rack to catch any dripping liquid or oil. Close oven and turn on broil setting. Allow the oven t broil the tops fo the pizzas for 2-5 minutes -- until the cheese starts to melt and the edges brown. When cheese is melted, turn oven back to bake and bake for as long as you'd like. I usually leave them in the oven another 2-3 minutes to crisp up the bagel. I like the outsides to be crispy and browned, while the inside of the bagel stays fluffy and soft. But again, for an extra crispy bagel pizza, just bake a while longer, to taste. 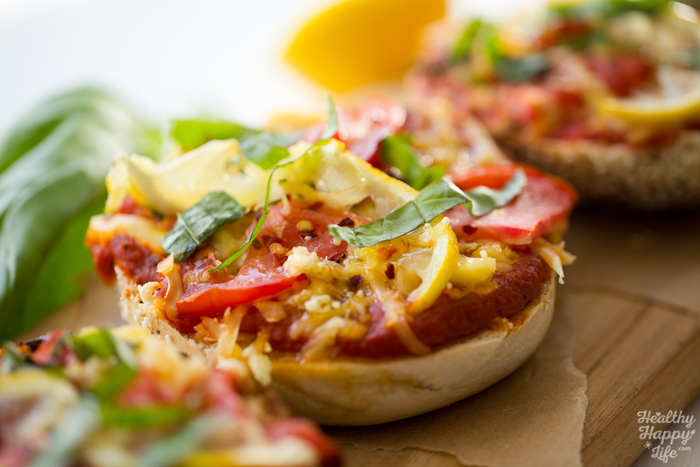 Serve bagel pizzas warm from the oven with fresh basil on top.Add more red pepper flakes to taste.